We welcome you to our house of charm and character, tastefully renovated and well equipped where you can stay with tranquility. 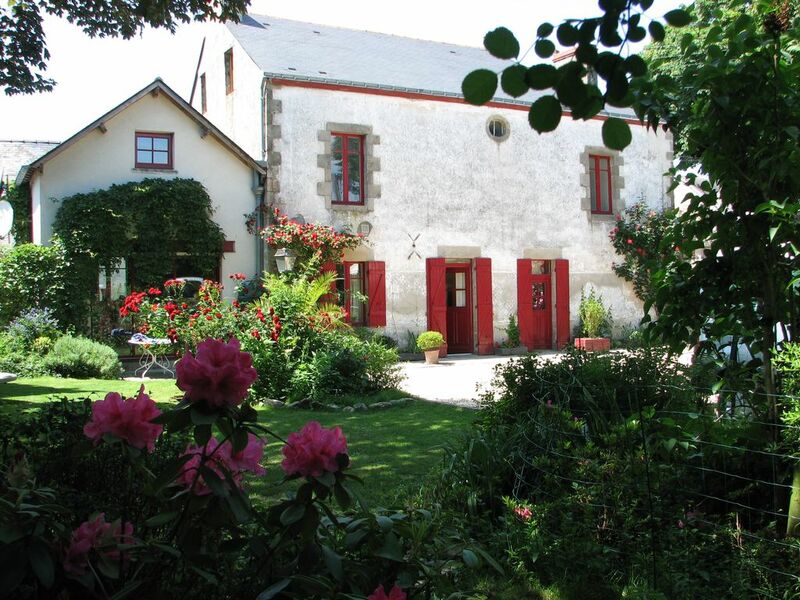 Very spacious house at the foot of the ramparts of Guérande, where you can enjoy our large garden with trees and flowers. Children can play in a large tree house. Close to shops and you can enter up to 6 cars in the property. Variety of beaches according to the tastes; advice on your arrival. You have a large barbecue griddle with several outdoor dining areas such as the terrace or the rose garden according to your desires. Our billiards table transformable you will spend good evenings with family or friends. Special feature of the living room which has retained its wood paneling, wood fireplace, corner furniture and coffered ceiling with diamond point pattern; characteristic of late 19th century mansions. Large screen TV connected, Dvd and wifi internet connection. An umbrella bed and a high chair are at your disposal if necessary. Option forfait ménage (120€) Possibilité de louer du linge de maison. Caution remboursable de 900€ à régler à l'arrivée Le jour de votre arrivée, un chèque de caution de 900€ qu'on vous redonne le jour de votre départ.